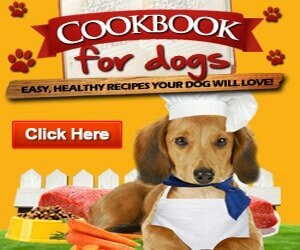 If you have been looking for healthy easy homemade dog treats recipes, l have good news for you. 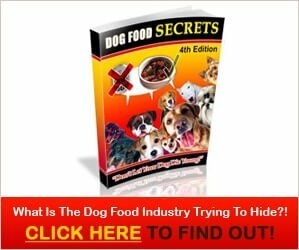 I have compiled here the best healthy easy homemade dog treats recipes ideas. Many dog owners make easy homemade dog treats recipes as a way to show their dog love or to use as an incentive during training. Dog treats made in your kitchen can range from simple to elaborate. Some require only a minute or so using raw, prepackaged or leftover cooked foods and minimal ingredients, while others involve preparing and mixing several ingredients, then cooking or baking them. Let’s start with the simplest easy homemade dog treats recipes first, ones that consist of only ingredient. Hot dogs or salami sausages that are cut into small pieces make very easy homemade dog treats. If you are health conscious, then look for the organic kind with low sodium. They are especially good for putting in a plastic baggie and doling out while training. Frozen raw chicken wings can serve as single treats for larger dogs. They are also good for helping keep a dog’s teeth clean. (Raw chicken bones appear to be okay for dogs to eat; it’s the cooked kind that can splinter and cause problems). Raw beef marrow or oxtail bones are also a good treat that help keep plaque off teeth. Bones range in size from about two to four inches in diameter so they can be fed to any size dog. Leftover cooked meats can be cut up and fed as well and can also be good for training purposes. Our German Shepherd mix, Comet, often gets pieces of jerky when we go hiking. It’s tough keeping his nose out of our backpacks when we sit down! You can pretty much call these FREE homemade dog treats since your dog is likely to only eat a small portion. Slices of fruit and single berries are items you might like to try with your dog. Comet enjoys apple slices on most days and will sometimes eat pieces of banana, mango, melon, orange, peach or lap up strawberries, blackberries and blueberries. Be careful with grapes and raisins as too many at once can lead to kidney failure. Spoonfuls of cooked yam, green beans, peas, lentils, spinach, carrot, potato or squash are often appreciated. Consider saving some of these vegetables after a meal so that they can offer your dog a healthy treat the next day. Be sure to mash them up first. Dollops of yogurt, cottage cheese, cream cheese or sour cream often go over well, as do slices of all different types of cheeses. Pieces of cooked eggs or a very occasional raw egg can also be used to let your dog think he or she is getting something special. A plus is that eggs help a dog’s skin and coat. An easy homemade dog treats recipe is to combine any item that forms a spread with some of the above. For example, you can put peanut butter or cream cheese on any of the fruit items. Also consider adding liverwurst or salad dressing (just enough to provide flavor) to fruit, sliced cheese, hardboiled eggs, or pieces of meat. I would suggest sugar-free and sodium-free peanut butter if possible. Although you can feed dogs things such as bread, crackers, whole kernel corn, rice and pasta, it is best only to feed these in very small amounts since their digestive system is not designed to handle carbohydrates. Also, if your dog eats a kibble-based diet, she/he will most likely be receiving more than enough from that food group already. Another problem with some of these foodstuffs is that they tend to stick to teeth and contribute to dental problems if you do not brush your dog’s teeth afterwards. Well, those are some of my ideas for easy homemade dog treats. If your dog is not used to eating a particular type of food, try him or her with a very small amount first to make sure there are no allergies. Did you enjoy reading the best healthy easy homemade dog treats recipes ideas post? Share it on facebook and pinterest.